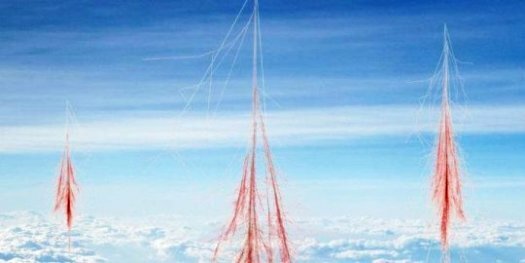 The study reveals how atmospheric ions, produced by the energetic cosmic rays raining down through the atmosphere, helps the growth and formation of cloud condensation nuclei — the seeds necessary for forming clouds in the atmosphere. When the ionization in the atmosphere changes, the number of cloud condensation nuclei changes affecting the properties of clouds. More cloud condensation nuclei mean more clouds and a colder climate, and vice versa. Since clouds are essential for the amount of Solar energy reaching the surface of Earth the implications can be significant for our understanding of why climate has varied in the past and also for future climate changes. “Finally we have the last piece of the puzzle explaining how particles from space affect climate on Earth. It gives an understanding of how changes caused by Solar activity or by super nova activity can change climate.” says Henrik Svensmark, from DTU Space at the Technical University of Denmark, lead author of the study. Co-authors are senior researcher Martin Bødker Enghoff (DTU Space), Professor Nir Shaviv (Hebrew University of Jerusalem), and Jacob Svensmark, (University of Copenhagen). The ions help aerosols — clusters of mainly sulphuric acid and water molecules — to form and become stable against evaporation. This process is called nucleation. The small aerosols need to grow nearly a million times in mass in order to have an effect on clouds. The second role of ions is that they accelerate the growth of the small aerosols into cloud condensation nuclei — seeds on which liquid water droplets form to make clouds. The more ions the more aerosols become cloud condensation nuclei. It is this second property of ions which is the new result published in Nature Communications.